BandSwapper, a recently unveiled Web service, is aiming to help Apple Watch Sport owners switch unused Sport Bands for different sizes or colors. In order to use the service, customers simply mail off their unused Sport Band and pay a $6 fee; BandSwapper will then send back a Sport Band variant requested by the customer. This is a really smart service, and one we can see a lot of new Apple Watch owners taking advantage of. You see, each Apple Watch Sport model of course comes with a Sport Band, in fact the device includes two bands in the box: one for slightly smaller wrists, and one for slightly larger wrists. Early reviews of the Watch have noted that for the device’s heart rate monitor to work correctly, a fairly snug fit is required of the Sport Band (in order to ensure that the smartwatch’s sensors are touching your skin). As such, once Apple Watch owners figure out which of the two Sport Bands offer the correct fit, the other band will likely remain in the Watch’s box, unused. Tell us which band you have and which one you want. Send us your unused band with one of our pre-paid shipping labels. We’ll send you back a band in the size and color you want. At the minute, we’re guessing BandSwapper is going to be limited to the United States. Pricing is subject to change, and we’re also unsure how the service is going to manage both greater consumer interest in more popular a bands (like the white and black variants), and less consumer interest in others. It seems, based on the rate at which Apple Watch Sport preorders sold out this morning, that there’s a general consensus among the majority of adopters as to which Sport Bands are the most aesthetically pleasing. As such, BandSwapper will likely have to buy in stock of Apple’s Sport Bands in order to meet the demand of its user base. You can register your interest in BandSwapper by visiting the service’s website. Though the site isn’t fully operational yet, we’re guessing it’ll open its virtual doors in time for Apple Watch launch day, on April 24. Preorders for the smartwatch, of course, are already live, though shipping estimates slipped soon after the Apple Online Store reopened following its temporary closure. 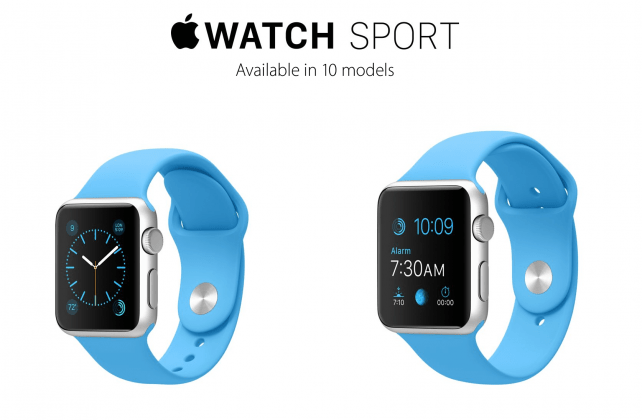 This entry was posted in Apple news and tagged Apple Watch Sport Band, BandSwapper, swap. Bookmark the permalink. Retail Apple Watches Still Have a Hidden Diagnostic Port.